7:1. That’s the ratio of the number of hours added to your life expectancy for every one hour spent running. So, says a new study from data collected at The Cooper Institute (Dallas, TX) that evaluated the effects of exercise on longevity. The new research, just published in Progress in Cardiovascular Diseases, set out to determine which type of exercise, if any, prolonged life spans. Running was the proven victor, hands-down. Runners tended to live about three additional years, compared with non-runners, even if they ran slowly or sporadically drank, smoked, and were overweight. As little as five minutes of running per day, no matter how fast or far, was associated with a longer life span. Furthermore, one hour of continuous running was shown to extend life expectancy by seven hours. While other forms of exercise such as walking and cycling were also proven to be beneficial, hour for hour, running added more time to people’s lives than it consumed. 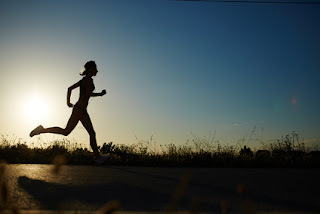 According to the study, the positive effects of running that likely contribute to a longer life span are its ability to decrease high blood pressure and body fat, as well as the aerobic properties benefiting the heart. In addition, runners tend to lead an overall healthy lifestyle that includes smart dietary choices and often many other physical activities in their daily routine besides just running. Though regular running is a great option for good health, it’s not without its downside. Running injuries are common if you don’t take care of your body and allow ample time to rest and recover between your more demanding stretches. If you experience any sudden or frequent pain in your ankles, feet, legs or hips, as a result of running, contact us for an appointment.